We’ve added some great papers to our Early View site recently. Early View is where we publish versions of record online before inclusion in an issue of Antipode. We only make available the ‘final, final’ version of papers, each of which has a ‘digital object identifier’ (or DOI) which can be used in the place of volume/issue/page numbers when citing. A couple of weeks ago we published Susanne Soederberg’s ‘The US Debtfare State and the Credit Card Industry: Forging Spaces of Dispossession‘, and you can see Susanne, who’s a Professor and Canada Research Chair in the Departments of Global Development Studies and Political Studies at Queen’s University, speaking about it below. Susanne covers some important ground in her paper, mobilising two key analytical concepts – “cannibalistic capitalism” and “the debtfare state” – as she explores the expansion of fictitious capital, secondary forms of exploitation, the behaviour of major credit card issuers, and the extension of plastic money to what Marx called “surplus populations”. 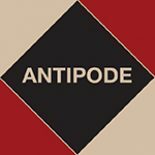 Those interested in the politics of debt should also see Antipode Staff Reporter Sara Nelson’s work published here at AntipodeFoundation.org, as well as our recent special issue ‘Bio(necro)polis: Marx, Surplus Populations, and the Spatial Dialectics of Reproduction and “Race”‘. This entry was posted on 6 June 2012 by Antipode Editorial Office in Video Abstracts and tagged and the Spatial Dialectics of Reproduction and "Race", banking, banks, Bio(necro)polis: Marx, cannibalistic capitalism, consumer credit, credit card debt, credit cards, debt subjects, exploitation, fictitious capital, geographies of money, money, neoliberalism, Sara Nelson, subjects of debt, surplus populations, Susanne Soederberg, the debtfare state.